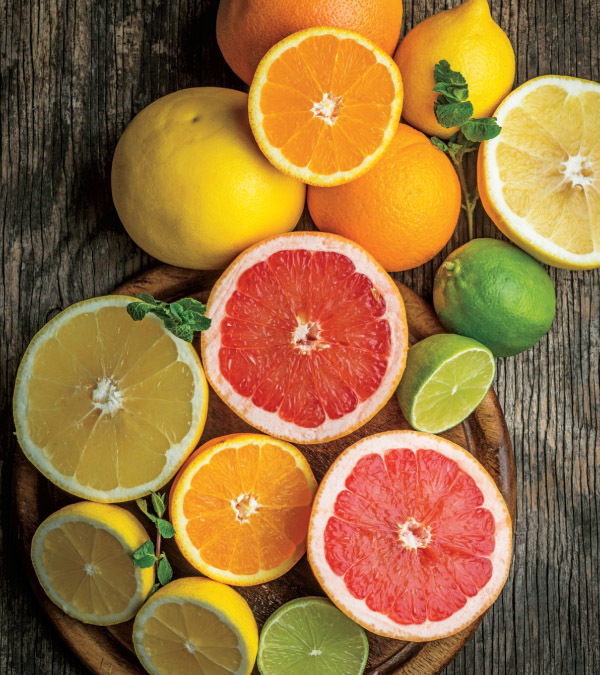 Sweet and refreshing, citrus is a wonderful snack. Plus, it’s portable and comes in its own packaging. A great addition to many recipes, there are plenty of things you can make with the leftover peel as well. Here are a few suggestions. Candied peels can be used to garnish desserts or can be eaten as a snack on their own. They’re even more decadent when dipped in chocolate. Combine citrus peel, chopped citrus fruit (orange, grapefruit, tangerines), sliced scallions and chopped cilantro. Toss with lime juice and serve over grilled meat or fish. Homemade flavored liquor is super easy to make. Simply steep citrus peels in your favorite liquor for a few days or up to two weeks. Strain out the used peel before serving. This method also works with olive oil and vinegar. Citrus peel adds wonderful flavor to your favorite cup of tea. Prepare peels by scraping away the bitter white pith and arranging them in a single layer on a plate or drying rack. Allow them to dry out for several days. Keep stored in an airtight jar and away from sunlight. Combine citrus juice (use one or a combination of a few), water and gelatin, pour into freezer pop molds and freeze until hard. Experiment with different flavor combinations. It can be as simple as enjoying fresh orange slices with a few pieces of dark chocolate. Or, try something like a combination of sliced citrus with marmalade and vanilla served with yogurt, then topped with shredded coconut.